The price includes a registration fee of $55 per person and $150 for two nights lodging that includes all prizes, refreshments, occupancy taxes, and a deluxe continental breakfast. Early Birds save $10 per person from the registration fee by paying in full by March 1. Registration is open as long as we have rooms. All money will be refunded if cancelled due to unforeseen circumstances, if a 24-hour notice is given. Anyone staying off site pays registration fee only. Neil grew up in southern Ohio in the little rural community of Slocum Station. He was saved at and attended the Porter FWB Church. After graduating from high school, Neil attended The Ohio State University where he graduated in 1974 with a degree in psychology. After graduation from OSU, Neil enrolled at FWBBC (Welch) to study Bible and Missions. He met his wife Sheila (Raper) at FWBBC. They were married in 1977. Sheila and Neil served as house parents at the Trula Cronk Home for Children in East Tennessee. For eight years, they served under Free Will Baptist International Missions as missionaries in Cote d’Ivoire, West Africa as dorm parents at a boarding school for missionary children. They returned to the US in 1987 and Neil served as the Director of Recruitment for Welch. Nearly twenty years after graduating from OSU, Neil returned to graduate school and finished an M.S. and Ph.D. in Counseling Psychology from Tennessee State University. 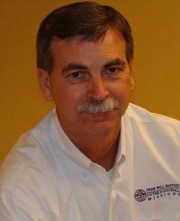 In 2001, Neil became the Director of Member Care at Free Will Baptist International Missions. 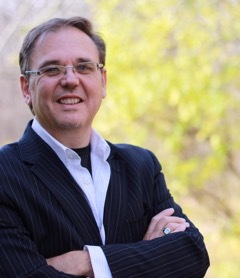 Since January 2010, he has served as a member care consultant for FWBIM, adjunct professor (Welch) and is a full time online professor for Liberty University. He does some counseling, primarily with missionary families, as well as premarital counseling. He also has a fairly rigorous speaking schedule. In his free time he is an avid sports fan (especially Ohio State football), fishes every moment he can, and listens to bluegrass music. His wife, Sheila is a post-partum nurse. They have one married daughter Hannah, who is 25 years old, and a three year old grandson. Greg is from Norton, Virginia. He is married to Teresa (Beverly) Sergent and they have a married son, Andrew, and a daughter, Rachel. Greg has pastored the Glamorgan Chapel Free Will Baptist Church in Wise, Virginia since 1991. In addition to graduating from the University of Virginia (Wise), he has also earned a Masters Degree from Luther Rice and a Ph.D. from Trinity Theological Seminary. Greg has a deep love for music and enjoys playing in a regional band. You are sure to enjoy Greg’s unique style of music as well as his wit and humor. He’s just an all-around good guy you will enjoy being around.